I believe that my power requirements would be 62 Wh and 7.33 Ah. What type of system would I need, can I get away with a single 12 V battery (~1200 Wh) and a 60 watt panel? I am a novice with solar energy, any input or advice would be greatly appreciated! Welcome to the forum JC. You are starting out correctly... Looking at your loads first. 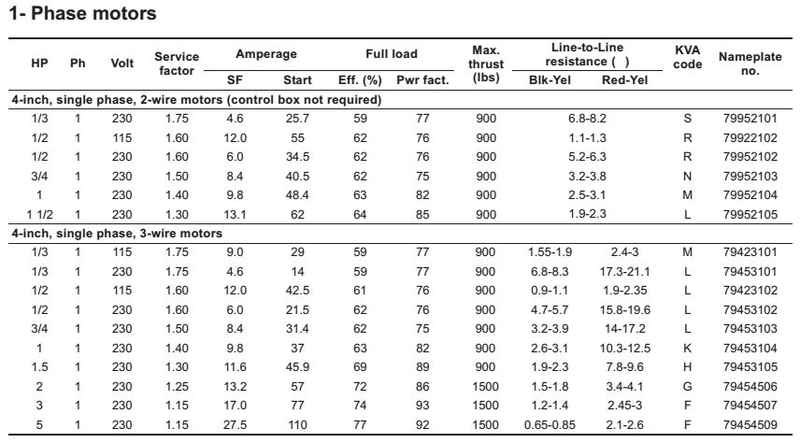 You might be on the low side of the estimates for Watts--Motors can be 80% efficient pretty easily (1/.80 eff = 1.25x more current)... If you can measure your current draw with a shunt or DC Current Clamp meter, it will help. So, your 7.33 AH is a bit more worst case and good to use. Now, you have choices... Flooded Cell lead acid batteries are about the cheapest per Amp*Hour... 2x 6 volt @ 200 AH batteries in series times 2x parallel strings gives you 4 "golf cart" batteries at 400 AH or ~$400. 2x golf cart batteries (12 volts @ 200 AH) may be on the small side (C/5 discharge rate is pretty high). AGM batteries are sensitive to over charging. AGM and FLA batteries do not like to be taken "dead". And should be stored at >~75% state of charge. FLA batteries are good because you can measure specific gravity and state of charge. AGM batteries are sealed, but not as easy to determine state of charge (battery voltages for lead acid batteries and state of charge are rough estimates and pretty variable). And there are Lithium Ion batteries... LiFePO4 prismatic cells are very nice... Support very high current draw, and high charging current. But you have to study up on them. They are still leading edge technology and you probably would need a BMS (battery management system) to protect the cells from over/under charging or over discharging. And they are not cheap. Regarding your solar array... Two sets of calculation. One based on size of battery bank. For Lead Acid batteries, 5% to 13%+ rate of charge recommended (10%+ for full time off grid/heavier usage). 400 AH * 14.5 volts charging * 1/0.77 panel+controller deratings * 0.10 rate of charge = 753 Watt array (10% rate of charge for 400 AH battery bank). Supplying relatively high levels of current for once a day for a couple times a week (irrigation gate valve?) with solar has lots of tradeoffs. You, kind of, have to over design to make a reliable electrical system. But because of the little AH per day need, typical FLA batteries may not be an "optimum fit". Golf cart batteries are (relatively) cheap. And would probably last 3-5 years, if water level and state of charge is monitored (typically once per month). Others like Li Ion would be a good fit, but are not cheap themselves, and if something goes wrong (batteries killed due to poor sun, water damage, theft, etc.) --FLA are nice because they are cheap. You might try 2x 6 volts @ 200 AH battery string first (2x golf cart batteries) and see how it works for you... If the voltage sag is too great, you can add a second parallel string (mixing "old" and "new" batteries--that are years apart in age--Can be an issue later). My 6kw inverter logs my half HP water pump at 1,000 w consumed. Thank you both very much for the well written and insightful responses. I really appreciate all of the input. I am going to take some time and look into the different battery systems that you mentioned. 2x4 6V 'golf cart' batteries. Connecting 2 in series (12 V) then connecting each of the pairs in parallel (800 Ah). This would give us a C/20 discharge rate. This would also help with the 'surge' required to start the motor (more amps). What is the difference between the '40 Watt panel minimum' and the 753 Watt array? If I was consuming 88 WH per day, I could get away with a 40 Watt panel (Should probably get something with more capacity just to be safe). Could you break down what the 753 Watt array means/the motivation behind an array that size? Just to clarify, when you add batteries in series, the voltage adds. 6 volt + 6 volt = 12 volt battery bus. When you add batteries in parallel, their capacities add. For example, take the 2x series string above (12 volt @ 200 AH) beccomes 200 AH + 200 AH = 400 AH for the bank. So a 2s x 2p battery bank (made from 4x 6 volt @ 200 AH "golf cart" batteries) would be 12 volts @ 400 AH. The reasoning behind the battery bank design and solar array sizing... Flooded Cell Lead Acid batteries, while they have lots of surge current capability (i.e., a relatively small car battery can output ~50-100 Amps to start a car for a few seconds or minutes at a time). But to pull larger amounts of current for longer periods of time, you need a larger battery bank. Generally, a C/8 (from 100% to 0% state of chage in 8 hour period), is about the maximum you would like to reliably pull from a FLA battery bank. You might be able to get a C/5 hour discharge rate (2x more current), but this might be a little iffy if when the battery bank gets over a couple years old in cold weather with a partial charge. 35.5 Amps * 8 hour rate = 284 AH @ 12 volt battery bank "nominal"
Every 2x series [email protected] string makes a [email protected] ... So 1x string is a bit on the small side, and 2x string is on the big side (200 vs 400 AH and target is ~284 AH based on our first pass guesses). Big (relatively) 12 VDC loads for 10 minutes--Need large(r) bank because of your high load current--But it is only 10 minutes, so the actual AH or WH per day is not that large. In general, if you "had" to run 10 minutes every day regardless of weather/season, then you do want a larger solar array (i.e., 40 Watt panel assumes you use 100% of December's daily harvest). So, I would be suggesting 2x (50% of daily harvest) for your "base loads" (loads that need to be supported every day--And if you have a string of very cloudy days, the next choice is more panels/more storage or using a genset for the few days of bad weather you may have). So, if this was a small load divided across 5 hours (2 days x 1/0.50 max discharge) or ~24 AH @ 12 volts for a "non motor" load. Anyway, here we are stuck with a relatively large battery bank. For FLA batteries, a minimum of 5% rate of charge (based on the 20 Hour AH capacity of the battery bank) is good for a lightly used system (which you describe). The "optimum" rate of charge is 10% for FLA deep cycle batteries. And that is where we get the large solar array (vs your actual load). So--This really depends on what you are going to use the system for, and how much pain it would be if it stopped working for you one day (poor solar harvest, needed to cycle the pump 10x over several days because of conditions or somebody servicing the pump/hydraulics). 14.5 volts charging * 200 AH * 1/0.77 panel+controller deratings * 0.05 rate of charge = 188 Watt array (minimum suggested). Note that solar numbers are pretty much +/- 10% (i.e., 188 watt array vs 207 Watt array) is pretty much "dead on". FLA batteries have (relatively) high self discharge (especially as the batteries get older/towards end of life) and less than optimum charge acceptance (not a lot of hours of sun during winter)... So the 5% rate of charge is a minimum I would suggest... You could get away with less array, but under charging/over discharging a battery bank is a common cause for failure. (above links are to our host NAWS Northern Arizona Wind & Sun--I am just giving you a starting point for searching--I am not saying this is the only/best solution, and if you purchase elsewhere, that is fine with us). So, now, you can use a smaller array--But that also gives you less "head room" in case you need more power (or other things you may like to run at this site). If you are using a 120 VAC 1/2 motor, we need to account for the inverter's efficiency and some other issues. Also, it depends on if this site is visited every few days and you manually run the pump, or you only want to drop by once a month and forget about it otherwise. Solar systems really need supervision, they do not do well if not inspected/maintained regularly. For example, if you want to automate the site and only go by once a month, a larger battery bank and solar array just allows for things to somewhat "go wrong" but the system still works and does not "murder" your battery bank. Some folks like to "remote monitor" the site or add secondary systems to prevent the system from hurting itself/notify you of problems. More complex, more money, and more wild and wonderful ways things can go wrong. It all depends on your needs and expectations.